Moonfruit is a subscription-based web hosting service, which currently offers versions in both English and French. It has a simple, user-friendly point-and-click interface as well as drag-and-drop templates, to make it easier than ever for you to build your own custom website. 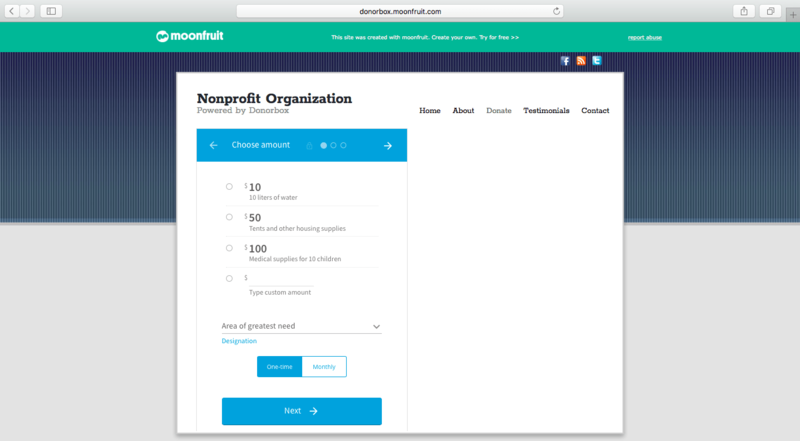 For those of you with Moonfruit websites, we have put together a guide on how to embed your Donorbox donation forms on a webpage. To begin, go to your Donorbox dashboard and click the “Embed Form” button by the campaign you wish to embed on your website. Once you have selected your preferred options, copy the embed code for your donation form. Now, head over to your Moonfruit dashboard. 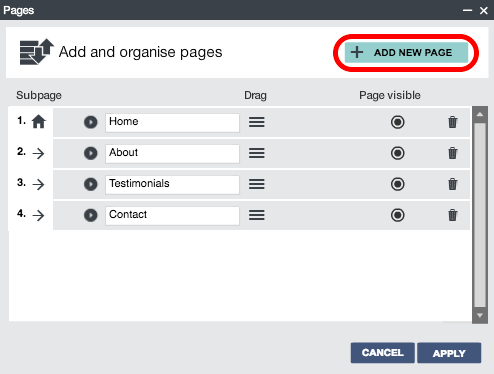 First, find or create the page onto which you want to embed your form by clicking the “Pages” tab at the top of the page. Then, click the “+ Add New Page” button at the top right of the Pages editor. Once you have selected the type of page you want to add, given it a name, and set its visibility and position, click the “Finish” button. You can now access your new, blank page. Click the “Insert” tab at the top of the Moonfruit editor. 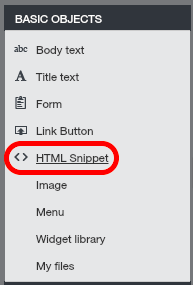 On the left-hand sidebar, under “Basic Objects”, click “HTML Snippet”. 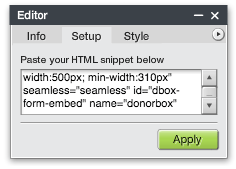 In the editor that comes up, click the “Setup” tab and paste your Donorbox donation form embed code in the text box. Then, click “Apply”. 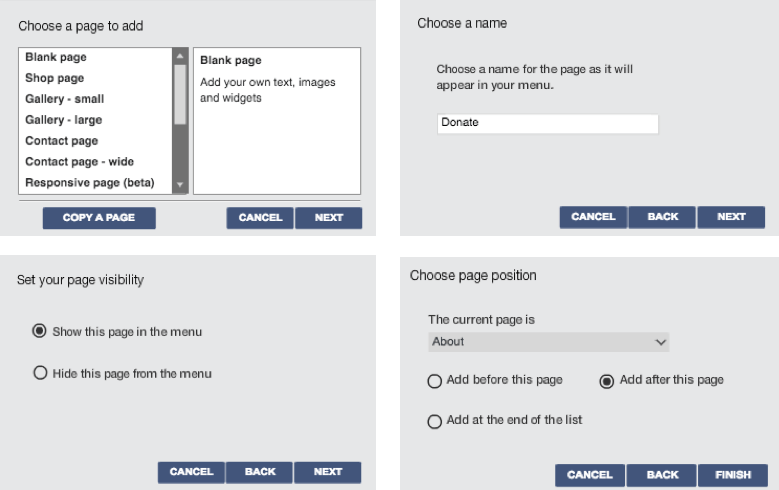 Hope this guide was helpful in setting up a recurring donation form for your MoonFruit website.